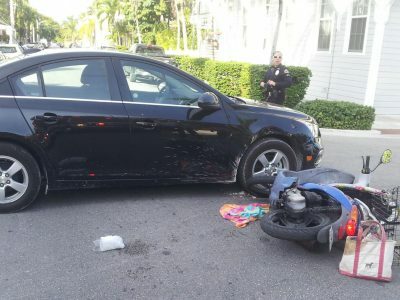 Moped Accident in the Keys. Now What? Pedestrian or Cyclist Injured In Car Crash? You have rights! Copyright 2019. FloridaKeysInjury.com is sponsored by Lyons, Snyder, Collin P.A.®. Helping individuals injured in car accidents, moped crashes, truck accidents or going through family-related issues such as divorce. Lyons, Snyder, Collin P.A. has locations in Plantation and Key West. All of our lawyers are licensed to practice law in the state of Florida.